Bertrand Chaffee Hospital offers Diabetes Management classes for people with pre-diabetes, gestational diabetes, Type 1 diabetes, Type 2 diabetes and their close family members. Classes are conducted on an individual basis and provide comprehensive information and education to help people with diabetes understand and manage their diabetes effectively. Instruction in blood glucose monitoring and insulin injection as ordered by physician. Bertrand Chaffee Hospital is one of a limited number of sites for diabetes education in Western New York that are accredited by the American Association of Diabetes Educators. It is taught by a multidisciplinary education team of a certified diabetic educator (CDE), RN, Pharmacist, Nutritionist, and Dietitian. The program totals 13 hours of “Self-management Training and Education” over a one-year period consisting of five two-hour classes and two private consultations. While Diabetes Management classes are often covered by insurance, patients are advised to check with their health insurance company. Most insurance companies require a physician’s order or referral for the classes to be covered. 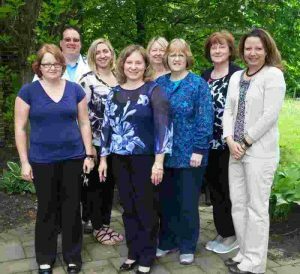 Bertrand Chaffee Hospital coordinates monthly diabetic support group meetings for Type I and Type II diabetics and their loved ones as part of its community education initiative. Interested individuals are invited to participate in this group to share recipes, coupons and information about topics related to diabetes and health in a supportive and welcoming environment. The group meets at Bertrand Chaffee Hospital on the first Monday of each month from 6-7 p.m. A Certified Diabetic Educator will facilitate the group, and meetings are free of charge. For more information, call (716) 592-9643. Meetings will be canceled when S-GI schools are closed for a snow day.